The AIRQUAL1 has been at the subject of numerous enquiries and multiple orders from various industries including but not limited to OH&S and certification organisms, air compressor companies, factories and workshops as well as scuba diving center. The AIRQUAL1 Breathing Air Quality Test Kit is designed to provide standalone compliance of AS 1715-2009 Appendix A & BS EN12021 legislation. 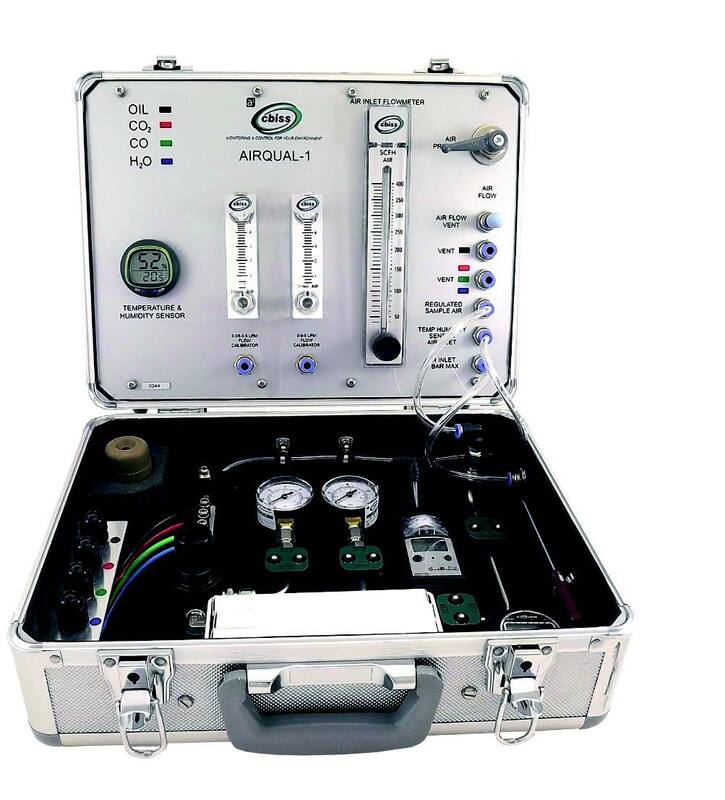 This comprehensive breathing air quality test kit is compact, easy to operate and can be used to indicate the level of contamination, as well as, operating flow, temperature and pressure. On-The-Spot Measurement, sampling of compressed air is fast, with the ability to process results in less than 15 minutes. Concentrations of CO carbon monoxide, CO2 carbon dioxide, O2 oxygen and oil & mist can be determined almost instantly without further lab analysis. Pleasant to use, the AIRQUAL1 is a cost effective way to assess and certify on site your breathing air quality for the safety of your employees and collaborators. AquaGas is supporting the global industrial community with high performance environmental and process monitoring systems (Continuous Emissions Monitoring Systems, Air Quality Monitoring Systems, Online process analysers, Water Quality Monitoring Systems) specifically designed and built to meet your application requirements.